Once upon a time, I used to consider myself quite the bookworm. Then one day, I gave birth to a beautiful baby boy… and my reading list for the next year or so was comprised of books such as What to Expect in the First Year and What to Expect in the Toddler Years. Of course, I’m exaggerating. My reading list also comprised of cloth books, touch-and-feel books, and posts on my Facebook newsfeed. Last week, I finally decided to get back into my old reading habits. Instead of heading to the bookstore, however, I opted to revisit my bookshelf. What did I pick out? 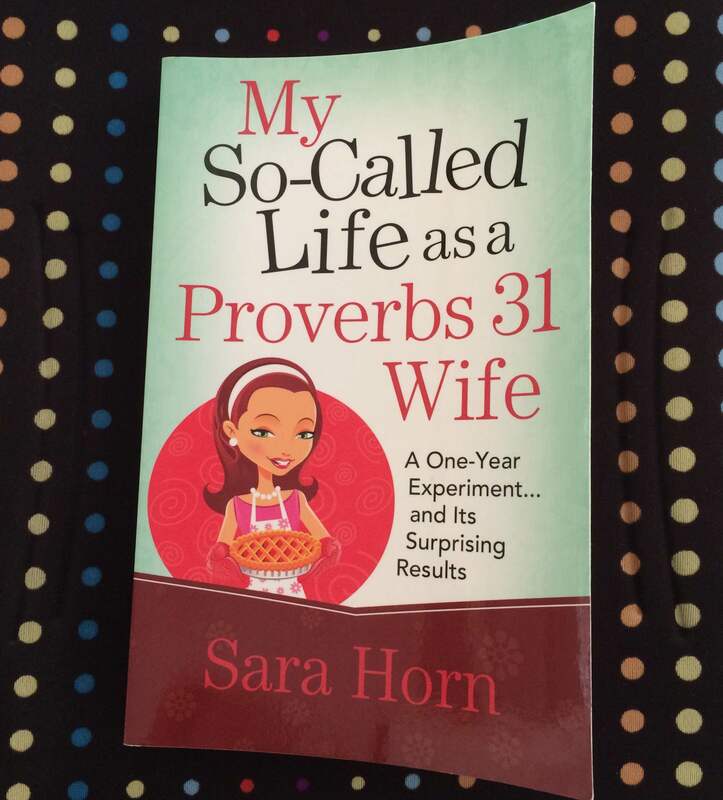 Sara Horn’s My So-Called Life as a Proverbs 31 Wife. I figured that with the birth of Mommy Minutes Manila, it seemed like an opportune time to review the role I play in our little family of three. As you’ve probably guessed, My So-Called Life as a Proverbs 31 Wife is about a wife and mother who considers herself a far cry from the practically perfect woman described in Proverbs 31. Referring to herself as “Martha 31”–a mix of the Proverbs 31 wife, Martha Stewart, and Martha in the Bible–the author then launched into a personal (and rather amusing) mission to become a better wife and mom. Martha 31’s little experiment covered everything from practicing being kinder to her husband to learning how to sew and vacuum. Was she successful at everything she tried? Of course not. In a way, the book reminded me of Gretchen Rubin’s The Happiness Project. Both books focused on some form of experiment on self-improvement. While both experiments did not go smoothly, they were extremely entertaining and ended with many lessons for the author (and their readers) to learn from their journeys. My So-Called Life as a Proverbs 31 Wife reminded me a great deal about the importance of my duties as a wife and mommy. It’s so easy to be selfish and stress over what’s happening in my life, but I was reminded to constantly step back and keep in mind that how I feel and act greatly affects how my household feels and runs. I admit that I am often lazy and quick to lose my temper–and those that are two things that I really need to be more aware of. This book sounds interesting! Where can I buy this? Or borrow? Hehe 🙂 So glad you’re back at blogging, Kris! I miss you and you shine in your writing 🙂 Congratulations! I’m loving the idea of this book! Is this still available in OMF Lit? I need to claim my card there so I might as well pick this one up. I will look for a copy of this book. It sounds like a great read.